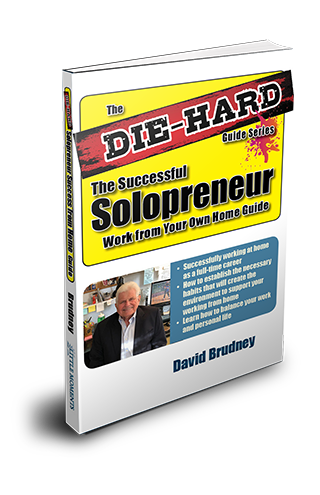 David Brudney, a pioneer of working from home as a solopreneur for more than three decades, began his career working for Westin and Hyatt Hotels. From his wealth of experience, David shares sound advice and timely tips for how to manage a successful, sustaining business working from home. This book is also applicable to the work-at-home employee. As of 2012, estimates suggest that over fifty million U.S. workers (about 40% of the working population) could work from home at least part of the time, but in 2008 only 2.5 million employees, excluding the 15 million self-employed, considered their home to be their primary place of business. — Peter C. Yesawich, Ph.D.